Design, construction, maintenance of communication network infrastructure (optical fiber, ADSL, CATV, etc.). Design and construction of general electrical equipment(electrical systems for buildings, electrical equipment for communications and electrical equipment for high-voltage substations). Design and construction of civil construction projects (general civil engineering, public projects for communications, tunnel boring projects, paving work). Please see Business Domains for details. 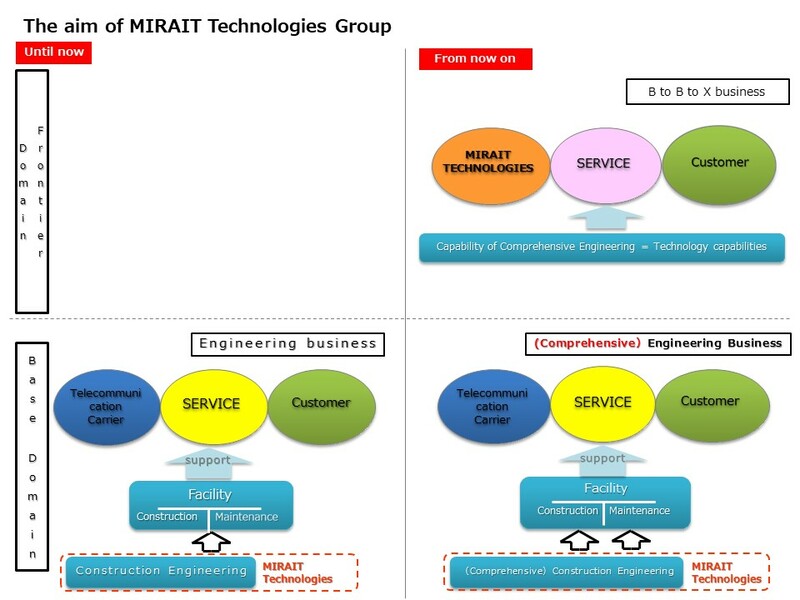 We have formulated the new medium-term management plan of the MIRAIT Technologies Group, to achieve MIRAIT Holdings' new medium-term management plan (FY2017 - FY2020). With the evolution of IoT and spreading business environment, we aim to become a service provider by establishing our capabilities here to become a new pillar. Then, we will improve our own technical skills to take responsibility for the service, and we will securely assure the technological capabilities to support the provision of services, such as maximizing collaboration with other companies. At present, the base domain still occupies a large proportion of our activity. From now on we would like to put this business ratio to the frontier domain. We will strive to ensure profit by encouraging continuous improvement in efficiency and cost reduction for base domain. 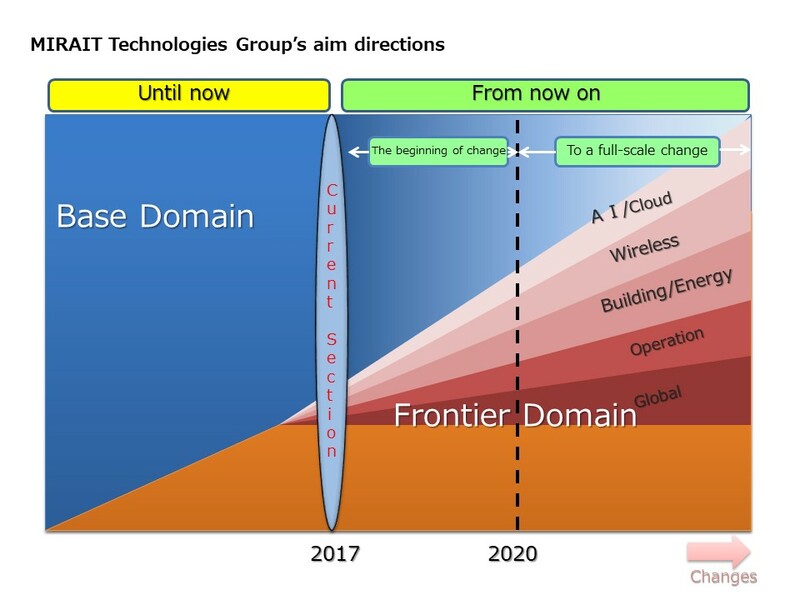 For the frontier domain, we will develop new technologies through human resource development throughout the company, with the goal to develop and expand as a professional technical group. Copyright ©2017 MIRAIT Technologies Corporation All Rights Reserved.